My hair boredom is officially cured! 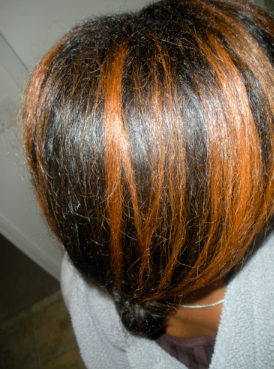 I guess all that I needed was to "play in my strands" for a month AND get more highlights. 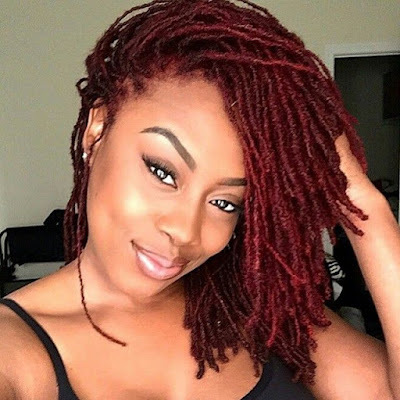 So, now it's time for me to return to my usual twists, right? ... Eh, not quite. 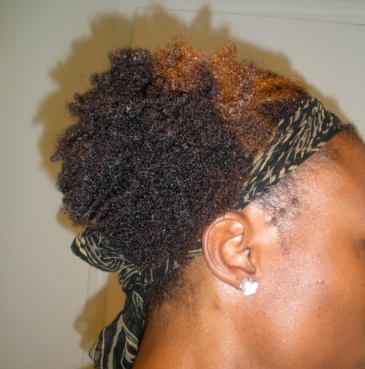 Because the summer heat is forcing me to wash my hair 1-2x a week, I would have to re-do my twists more frequently. Given my schedule, that is NOT happening. So what to do with my hair? Wash and going it for now! Oh, and gel is coming in handy at the moment ... but not for attempting to bring curl definition my undefined coils and kinks. Rather, the gel is for "freezing" my coils and kinks in place so that they do not tangle as easily. 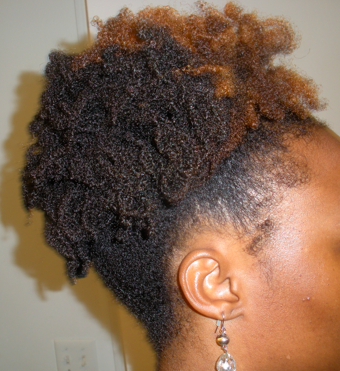 This then allows me to extend my wash and go to day two or day three (if I'm lucky). Let the wash and go begin. After raking it through with some gel (for hold NOT definition). 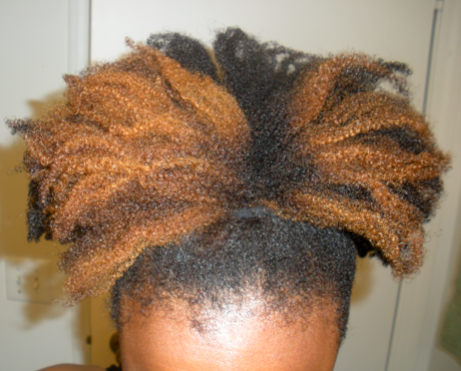 neater than this since I don't want to cause tangles.